When you feel confident enough with your product, you're going to have to begin pitching it to others. No matter if you are approaching investors, looking for partners, or trying to sell your invention, your pitch will be vital. How you go about this pitch can truly determine how successful your product will be. 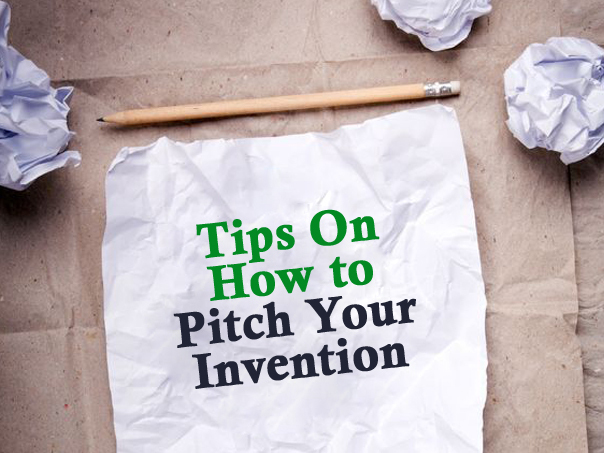 Consider implementing these tips to help make your pitch a successful one! Sign Nondisclosure Agreements � You�ll want to protect your intellectual property. If you pitch an idea without having secured a patent, your investors will be free to �steal� your idea and make it their own. Signing nondisclosure agreements ensure that whatever is said during the pitch remains between the two parties and cannot be shared with outside sources. Be Selective in Who You Pitch To � Again, you want to be extra cautious when it comes to protecting your intellectual property. You do not want to disclosure your invention to too many people. You should do research on your potential investors and partners, and make sure there is a defined purpose to each pitch. Your target audience should be clear, and your pitch should be tailored to your audience. Meet in Person � Do not do your pitch over the phone or internet. Sharing your idea online severely exposes your intellectual property to theft. It�s also more professional, and you�ll have a better chance of success if your pitch is done face-to-face. Practice Makes Perfect � Preparation is key when it comes to pitching. You should practice your pitch repeatedly beforehand in the mirror. After all, you�re only going to receive one pitch in front of this set of investors, so you might as well make it worthwhile for everyone. Practicing will also ensure that you do not get nervous and let important information slip. Be Passionate � If an investor is going to bite, they need to be convinced why they should work with you or take on your project. Allow the passion for your product to show through in your pitch.